Fleur du Cap wines? Buy Fleur du Cap wines quickly and safely! 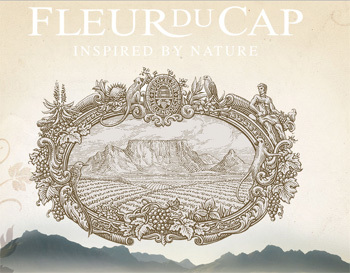 Fleur du Cap – one of South Africa’s premier and best known wines – is one of the flagships of the Distell group, the country’s top producer and marketer of fine wines and spirits. The first vintages were produced at Die Bergkelder, one of the worlds’s most advanced underground cellars, built in 1968. Our wines reflect the generosity of nature and the dedication by our devoted team in this famous mountain cellar on the outskirts of the Stellenbosch Winelands. Our product crafters ensure that only the finest grapes and vineyard sites are selected in order to produce wines of abundant flavour and character. The dedication of a devoted team at Die Bergkelder create a range of diverse wines. The Fleur du Cap approach is unconstrained. Using only meticulously selected grapes from the finest vineyards from across the Cape Winelands, we produce a range of wines that offer diversity of choice & diversity of taste, to live your way. In 1968, shortly after Die Bergkelder cellar was completed, the first vintages of the much loved Fleur du Cap range were launched. Under the watchful eye of the manager of wine production, Dr Julius Laszlo, Die Bergkelder continued to follow the philosophy of smaller volume, superior wine. In 1979, Die Bergkelder introduced maturation of quality wine in small casks of new French oak and in 1998, it launched the reserve range of Fleur du Cap Unfiltered wines, known for their superior quality. In honour of Dr Julius Laszlo’s contribution, the special release Fleur du Cap Laszlo was launched in 2007. This elegant, full-bodied red blend epitomises the Fleur du Cap philosophy of following nature’s lead by allowing the grapes themselves to determine the style of the wine in the cellar. Only produced in exceptional years, the blend composition will vary from vintage to vintage depending on the cultivars in that particular year as only the finest barrels are selected.